Royal Enfield, country’s leading premium 2 wheeler manufacturer has released their sales report for the month of October. There are news floating on the Internet about Royal Enfield’s upcoming 750cc motorcycle that could join RE’s portfolio of Motorcycles. Royal Enfield continues 2016 with a strong sales performance and posted sales of 59,127 motorcycles in combined domestic wholesale and exports in October 2016 recording a growth of 33% over same period last year. 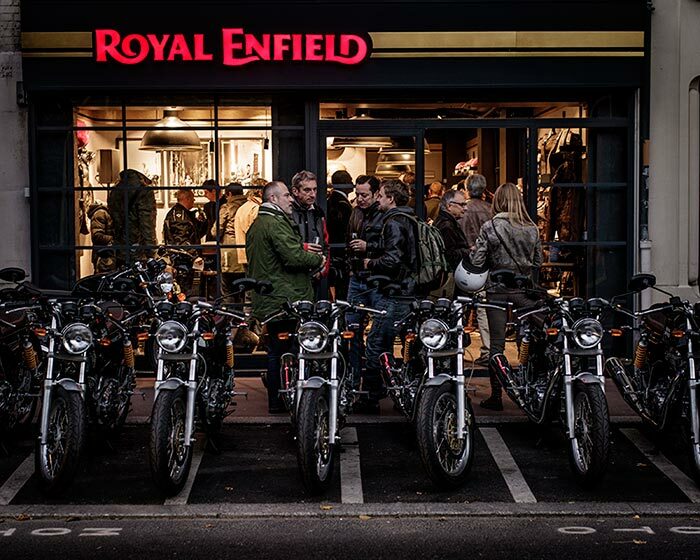 Royal Enfield opened its second exclusive store in Spain at calle Buenos Aires, 53, Barcelona, as a part of its focused international thrust of leading and expanding the global mid-sized motorcycle segment (250-750cc). The company opened its third store in Valencia located at calle Almirante Cadarso. Royal Enfield has significantly surpassed its sales numbers for 2015 (249 units) already by September 2016 (305 units) registering growth of 79%. With 22 dealerships in the region, Royal Enfield is at its optimum network strength in the region. Rider Mania 2016 is all set to get the beach town of Vagator, Goa buzzing with the energy and camaraderie of thousands of Royal Enfield owners and lovers from November 18th to 20th, as the iconic annual gathering of Royal Enfield enthusiasts – Rider Mania 2016 begins. More than 4,000 riders have already registered for three-days of action packed mornings, adrenalin pumping afternoons and surreal evenings that celebrate the spirit of ‘pure motorcycling’. There are special Royal Enfield Pre-Rider Mania parties being held in Bangalore, Delhi, Hyderabad, Mumbai, Chennai and Pune to kick start the celebrations. Enfield fans can sign up for the ride in their city on Rider Mania page of the official Royal Enfield website. Read more about Rider Mania 2016 here. So, What’s your take on Royal Enfield’s whooping sales growth? Let us know by commenting below.